A marvelous Ukrainian bleakness poured grimly out of the keyboard under Ms. Shpachenko’s steady hands. 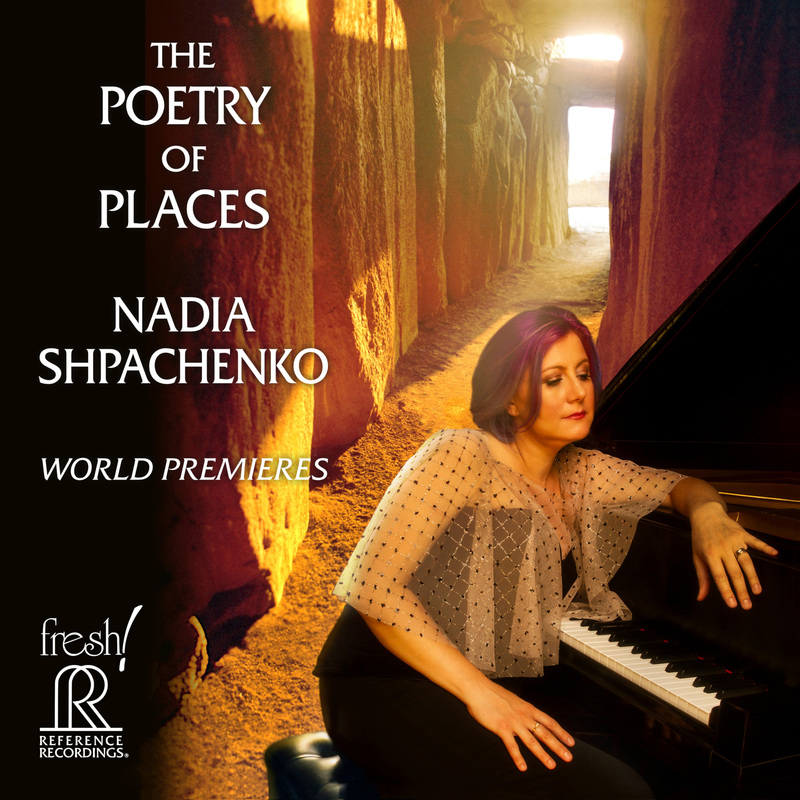 In The Poetry of Places, the gifted and versatile pianist Nadia Shpachenko premieres a remarkable lineup of 10 new works. The keyword to this disc is in its title: poetry. There is visual poetry in the images, compositional poetry in the responses that form this program, and performance poetry via Shpachenko. The Poetry of Places… is a celebration of new music featuring a formidable pianist in the company of top practitioners in the field. An exceptional recording of newly composed piano works… Shpachenko’s passionate rendering of the material unifies it on this special recording. Clearly a labour of love. Nadia Shpachenko has done heroic work here, and the composers provide stimulating listening. Woman at the New Piano is a generous helping of new piano music by four contemporary composers covering a wide range of feelings, moods and techniques. Ms. Shpachenko and Genevieve Feiwen Lee have skillfully combined to produce a memorable recording. Woman at the New Piano is an album with a surely cosmic purpose. 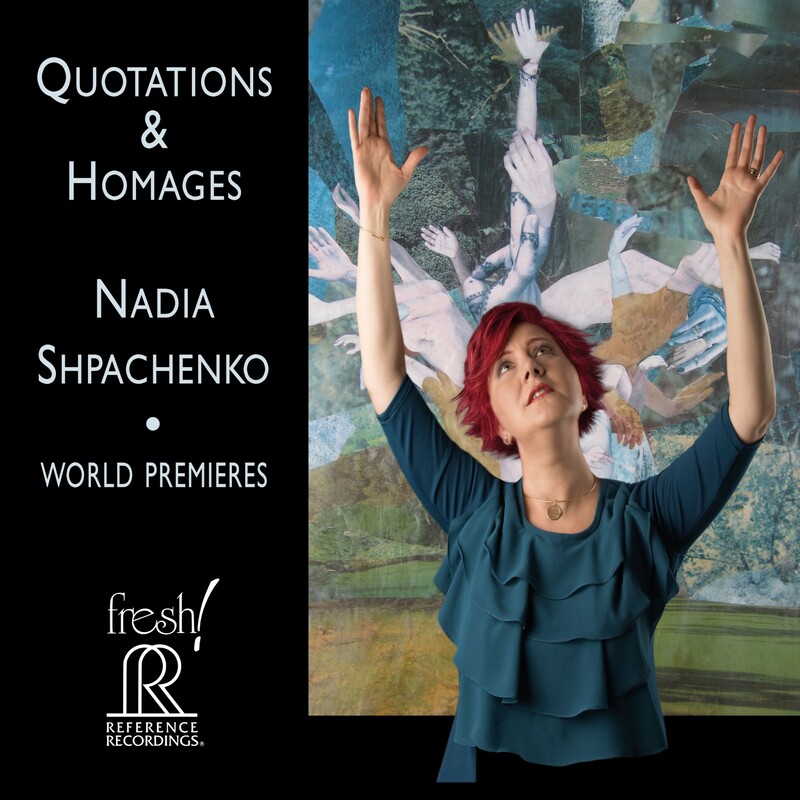 [Nadia Shpachenko] impresses very much as a pianist with a light, crisp touch and a way of keeping the music flowing very cleanly… the execution sounds flawless… the music is so infectious… A very engaging set. Nadia Shpachenko collaborated in the creation of these works, giving her an emotional investment and empathy with them. She conveys that empathy with sure, insightful delivery. Pianist Shpachenko brings strength to wide range of living composers… Shpachenko herself is a strong player, with a touch that gives weight and solidity even at low dynamics… Eminently worthwhile concert from Shpachenko and her fellow composers. A brilliant pianist… spellbinding in sensitivity and mastery of technique. Incredible performance full of emotions… virtuoso playing at its best. Multiple GRAMMY® nominated pianist Nadia Shpachenko has performed extensively in solo recitals and with orchestras in major venues across North America, Europe and Asia. Described by critics as a “truly inspiring and brilliant pianist… spellbinding in sensitivity and mastery of technique,” Nadia enjoys bringing into the world things that are outside the box – powerful pieces that often possess unusual sonic qualities or instrumentation. She performs on piano, toy piano, harpsichord, and percussion in concerts that often feature recitation, electronics and multimedia. "The Poetry of Places" CD Release Celebration, Solo and Chamber Performances with Megan Ihnen, Mezzo-Soprano and Michael Hall, Viola. Chamber Recital with Megan Ihnen, Mezzo-Soprano and Michael Hall, Viola.